Leah's Crafty Life: Halloween cuties!! Here's a fun layout I created using the October kit from TallyScrapper, "Artfully Wicked!" Katelyn was 9 and Samantha was just seven months old. and just look totally cute doodled around the edges. To amp up the title even more, I used bakers twine and just glued down the word 'cuties'. I may be adding more bakers twine titles to projects, I love the look of it. I had no hexagon shapes here to trace around, so I just printed one out from Photoshop, then used that as a template for my pattern paper hexagons. 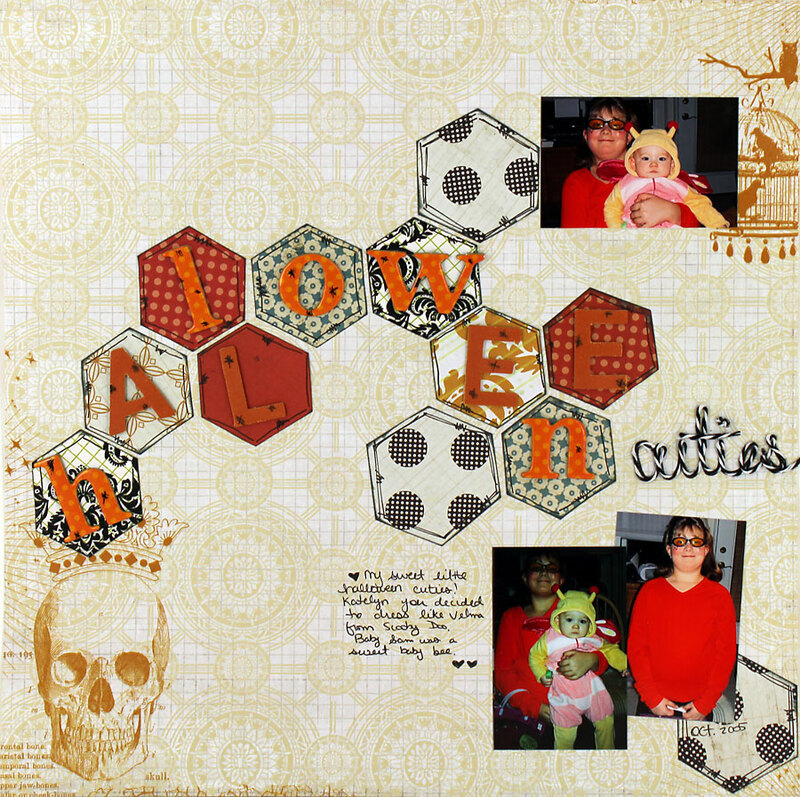 I'll be linking this layout over at Paper Issues 31 days of Halloween linky! Beautiful page! The Hexagon shapes turned out great, and the twine word is amazing. Forgot to tell you...I never received my prize from the hop. (http://darlnsnotalone.blogspot.com/2011/09/winner-from-weekend-blog-hop.html) I didn't want you to think I was ungrateful, because if you sent it, I didn't receive it. If you forgot or decided not to send it that's ok too. 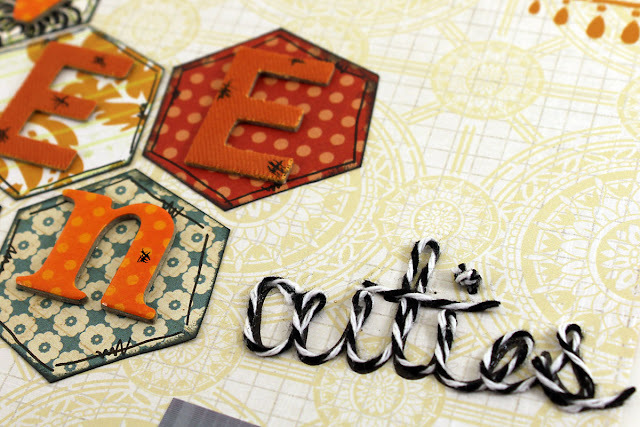 love the hexies and twine title Leah!! awesome page! !